As the first month of 2019 comes to a close, w88 players are encouraged to maximize their gaming experience before January comes to a close. 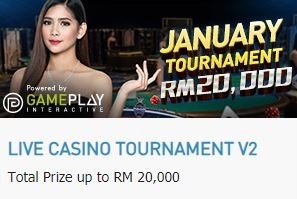 Take the time to join the January Live Casino tournament and earn RM 20,000 or simply claim your sportsbook bonus in just a click. 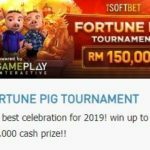 JANUARY TOURNAMENT – Earn up to RM 20,000! 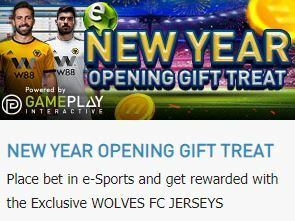 Open Stage Tournament – Click “CLAIM NOW” button to register before January 24 2019 23:59:59 Thursday (We request members must have deposit record and limited offer until seat last). 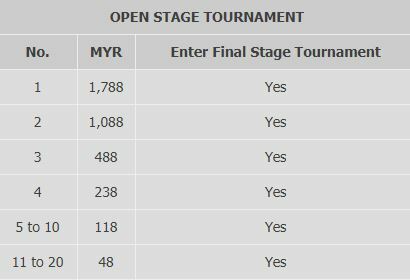 Final Stage Tournament – For invitation only, 1st to 20th Winners of Open Stage Tournament will invite to join Final Stage tournament. 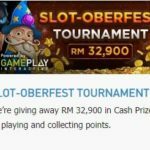 Open Stage Tournament – Each player will be given a Tournament account with 25,000 GPI play money together with the link to check on the Leaderboard via PMessage before Tournament start. Open Stage Tournament starts at January 25, 2019, 13:00:01 (GMT+8) – Friday and end at January 26, 2019, 21:00:00 (GMT+8) – Saturday. 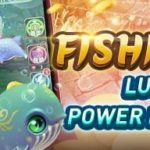 Final Stage Tournament – the player been invited will be given a Tournament account with 25,000 GPI play money together with the link to check on the Leaderboard via PMessage before Tournament start. Final Stage Tournament starts on February 01 2019 13:00:01 (GMT+8) – Friday and end on February 02 2019 21:00:00 (GMT+8) – Saturday. Placed the bet before and after the Tournament started will be considered null and void. Qualifying Club W Grand games for the tournament are: Baccarat, Dragon Tiger, Sic Bo, and Roulette, 7UP Baccarat, 3 Picture, Super Color Sic Bo, Blackjack and Super Fantan. 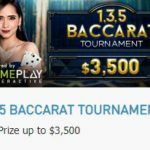 Minimum must play at least 20 hands in Open Stage Tournament and 50 hands in Final Stage Tournament to be eligible for prize. 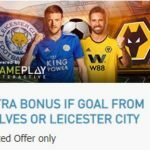 All prizes are subject to 1X rollover in Club W Grand. 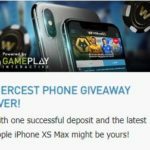 Winning amount will be credited to member wallet 2 days after the tournament completed. 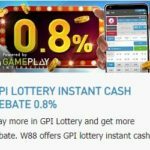 GPI play money is non-cash and non-withdrawal able. All winners must be in positive winning position at the end of the tournament in order to qualify and get Cash Prize. Open Stage Tournament is start at January 25 2019 13:00:01 (GMT+8) – Friday and end at January 26 2019 21:00:00 (GMT+8) – Saturday. 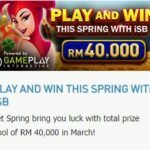 Final Stage Tournament – Player been invite will be given a Tournament account with 25,000 GPI play money together with the link to check on the Leaderboard via PMessage before Tournament start. 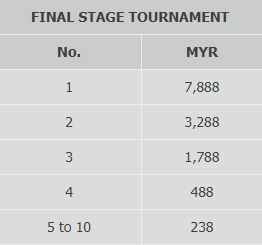 Final Stage Tournament is start at February 01 2019 13:00:01 (GMT+8) – Friday and end at February 02 2019 21:00:00 (GMT+8) – Saturday. Qualifying Club W Grand games for the tournament are: Baccarat, Dragon Tiger, Sic Bo, Roulette, 7UP Baccarat, 3 Picture, Super Color Sic Bo, Blackjack and Super Fantan. 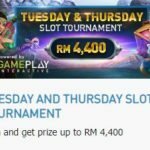 All winners must be in positive winning position at the end of the tournament in order to qualified and get Cash Prize. 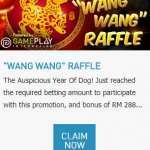 Promotion Update: 2 New Chinese New Year Promos to Avail Now!